Level 2 is here! This is the second bundle in a series of bundles to help students meet their NWEA MAP target scores. 221 – 230 covers math skills from the end of 5th grade to the end of 8th grade. 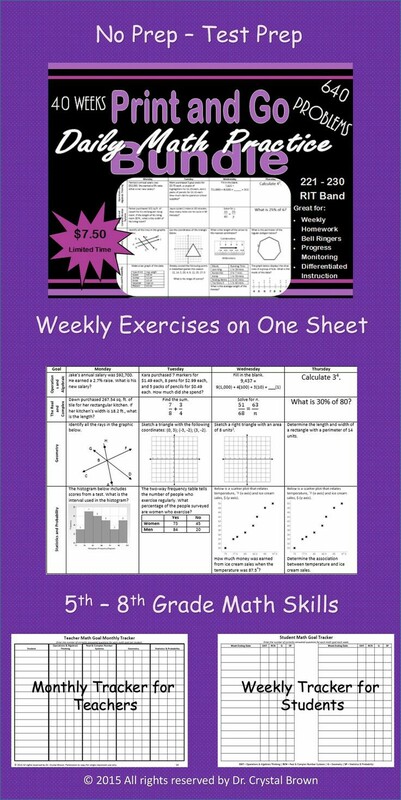 Repeated practice of most middle school math skills are provided in this bundle. Regular price – $20 Bundle discount – $15 ON SALE NOW FOR $7.50! Visit Dr Crystal Brown’s TpT Store.